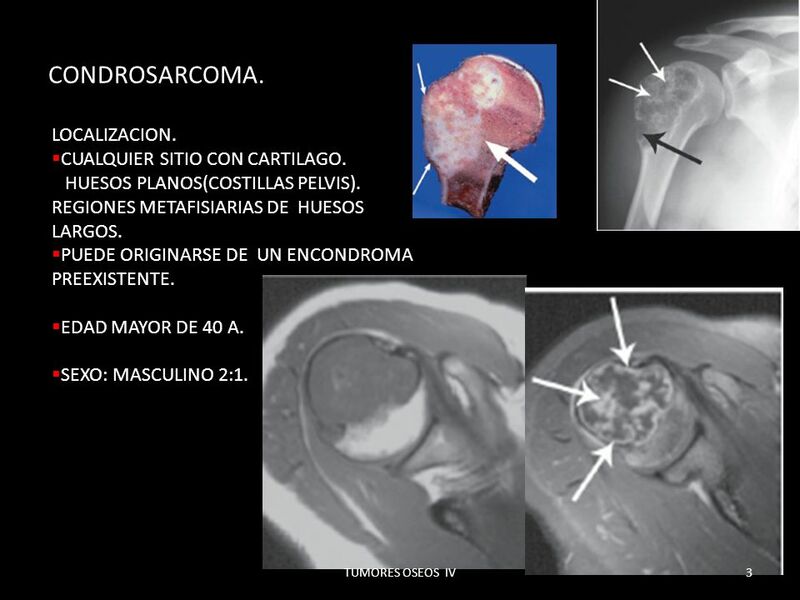 2 CONDROSARCOMA. 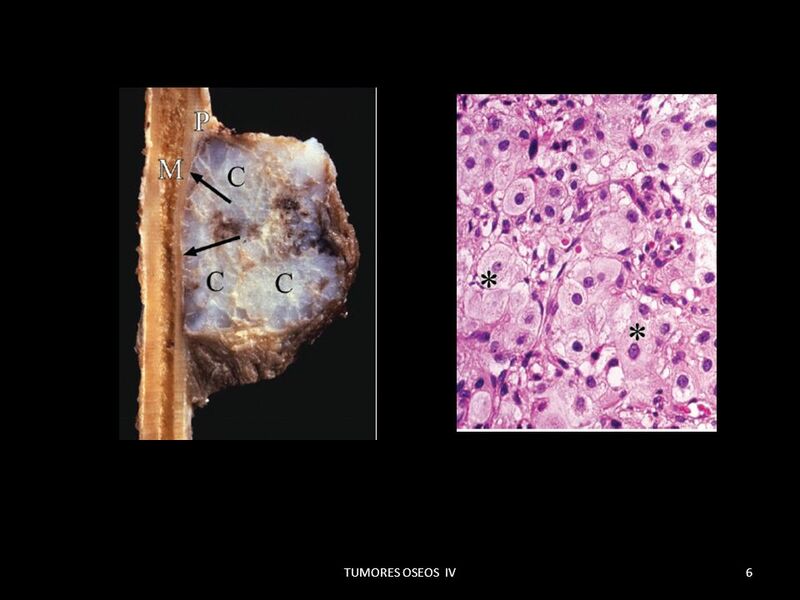 ES EL TERCER TUMOR PRODUCTOR DE HUESO. 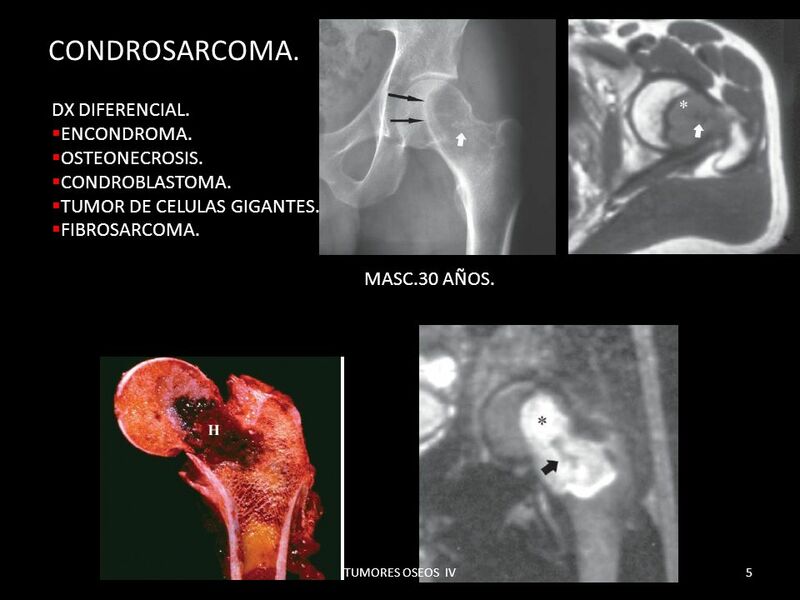 3 CONDROSARCOMA. LOCALIZACION. CUALQUIER SITIO CON CARTILAGO. 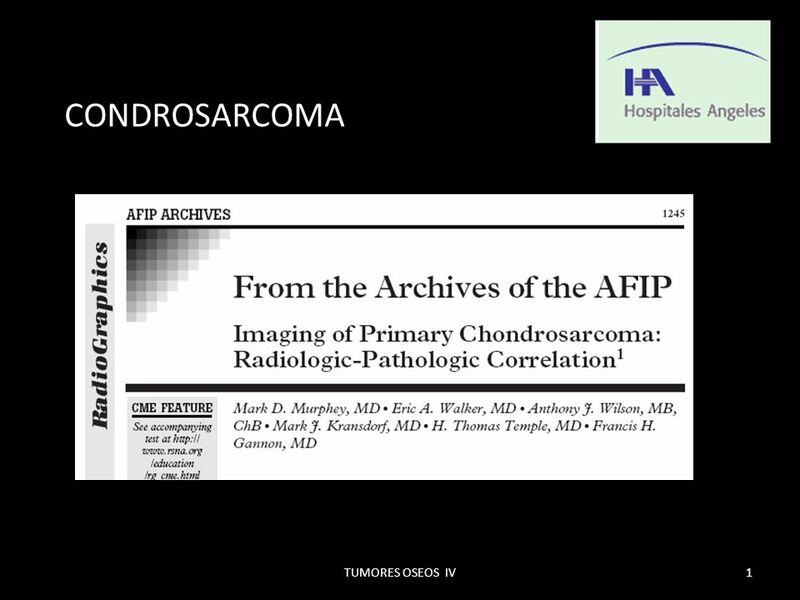 4 CONDROSARCOMA. RM. IMAGEN HETEROGENEA MUY COMPLEJA. 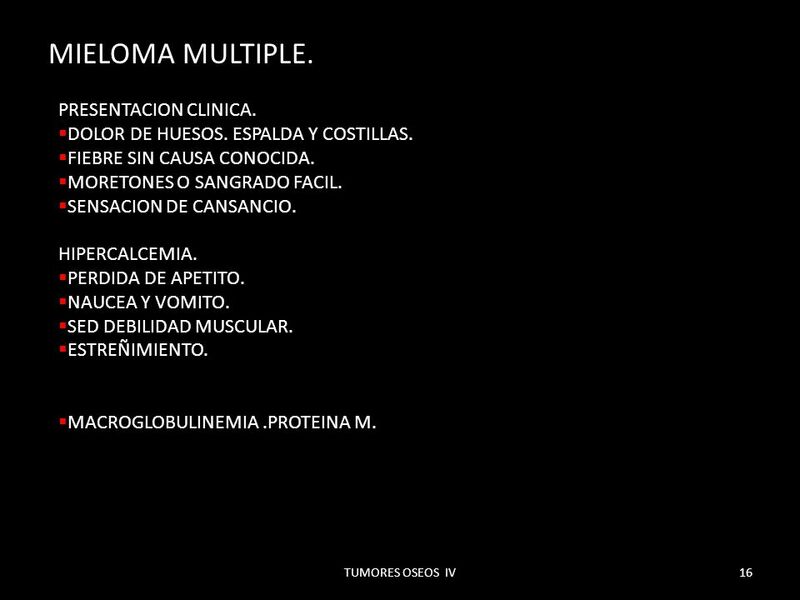 5 CONDROSARCOMA. 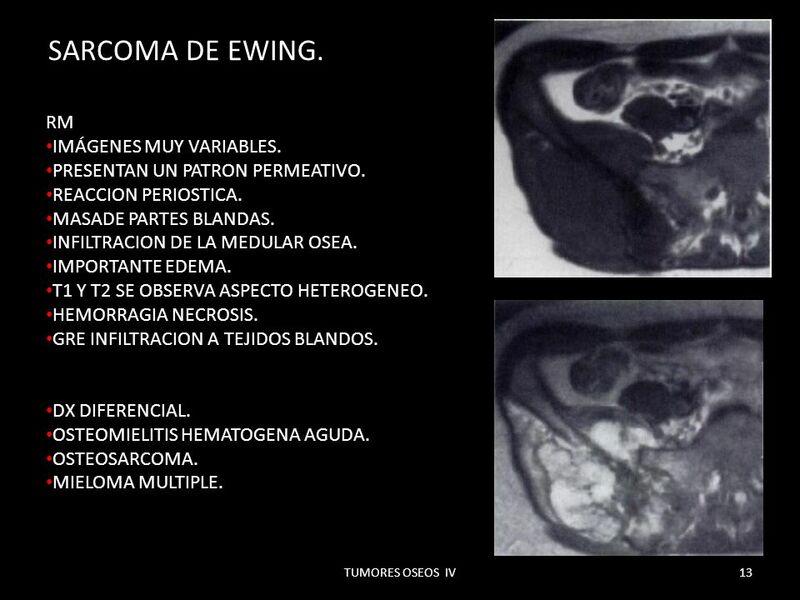 DX DIFERENCIAL. ENCONDROMA. 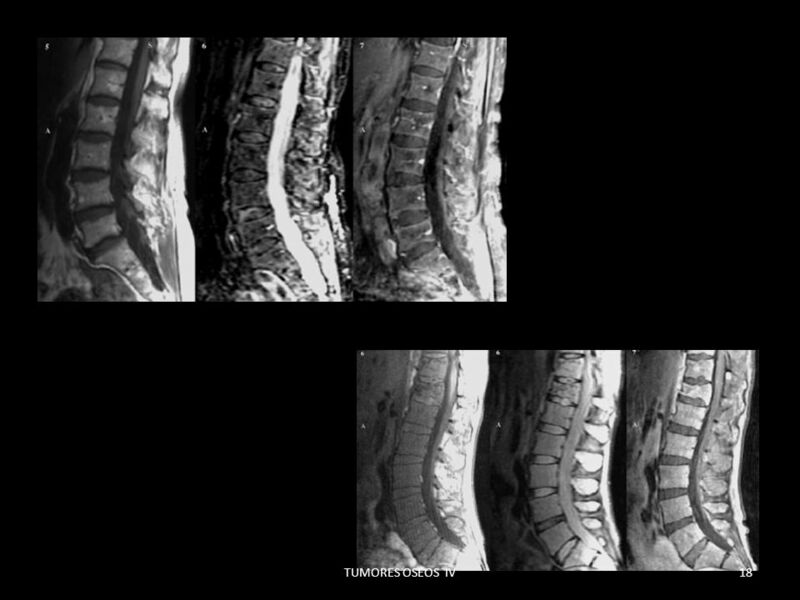 OSTEONECROSIS. 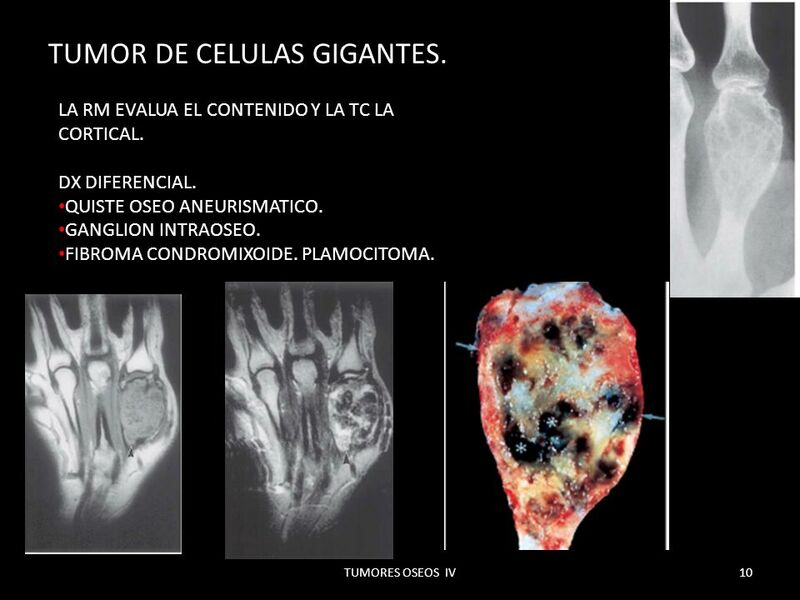 7 TUMOR DE CELULAS GIGANTES. 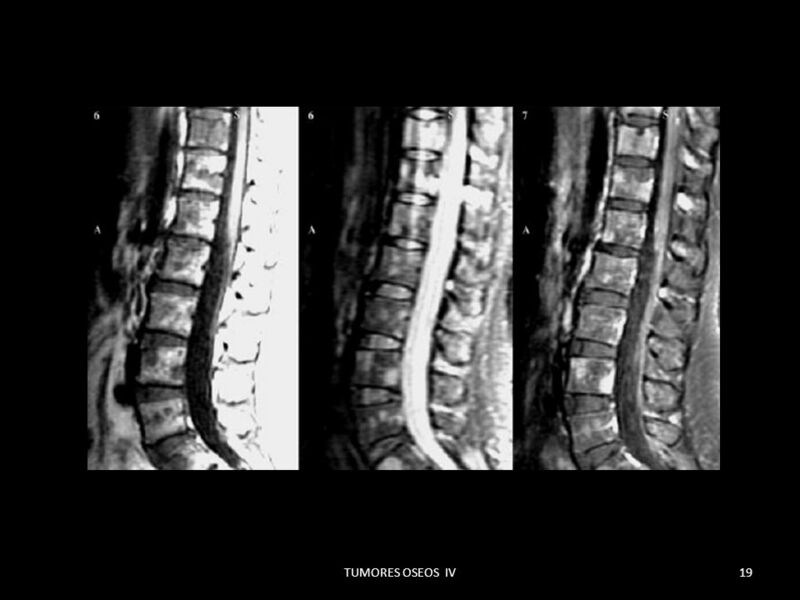 8 TUMOR DE CELULAS GIGANTES. 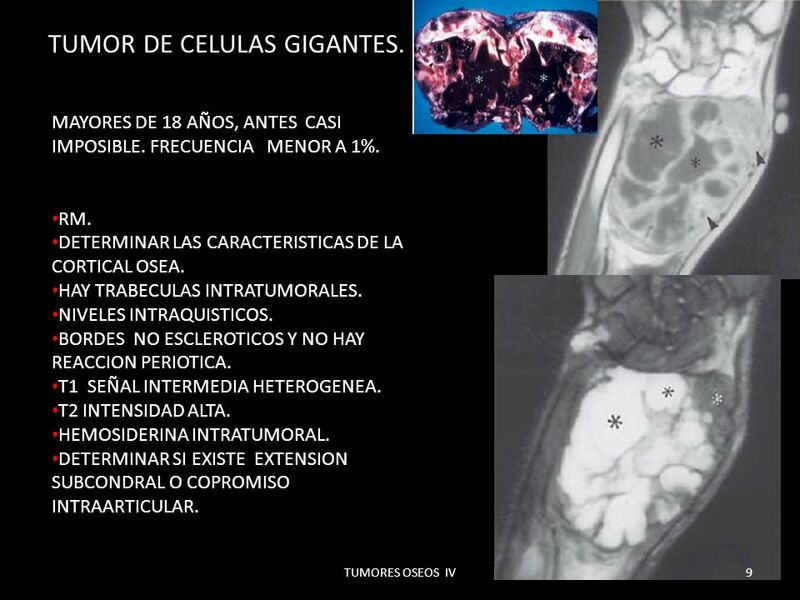 9 TUMOR DE CELULAS GIGANTES. 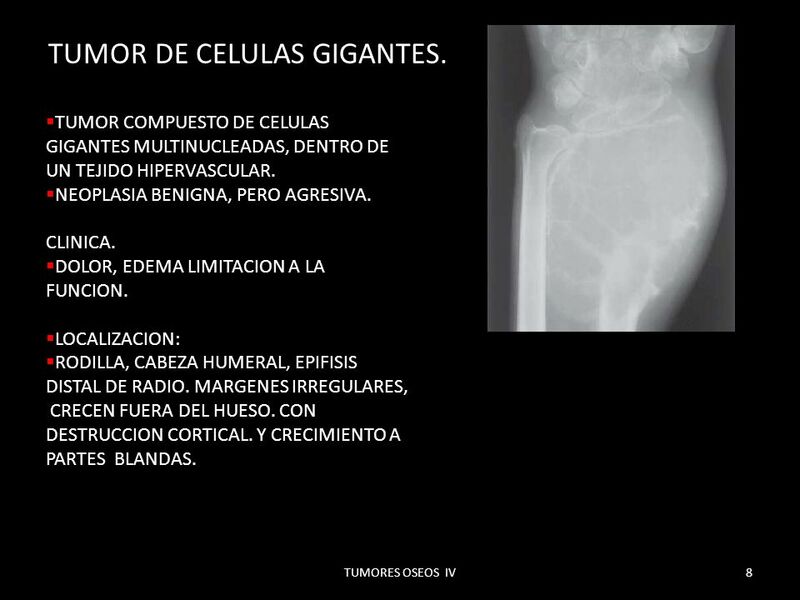 10 TUMOR DE CELULAS GIGANTES. 11 TUMORES QUE SE ORIGINAN EN LA MEDULAR OSEA. 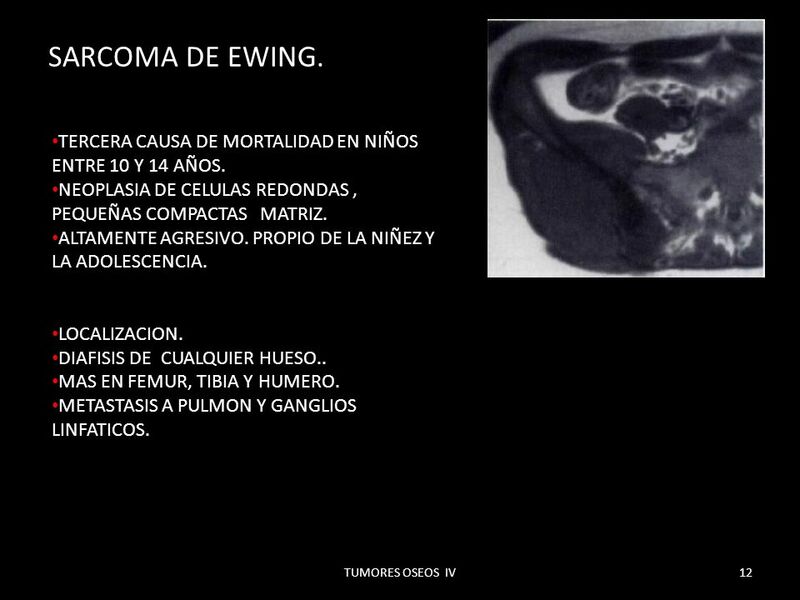 13 SARCOMA DE EWING. RM IMÁGENES MUY VARIABLES. 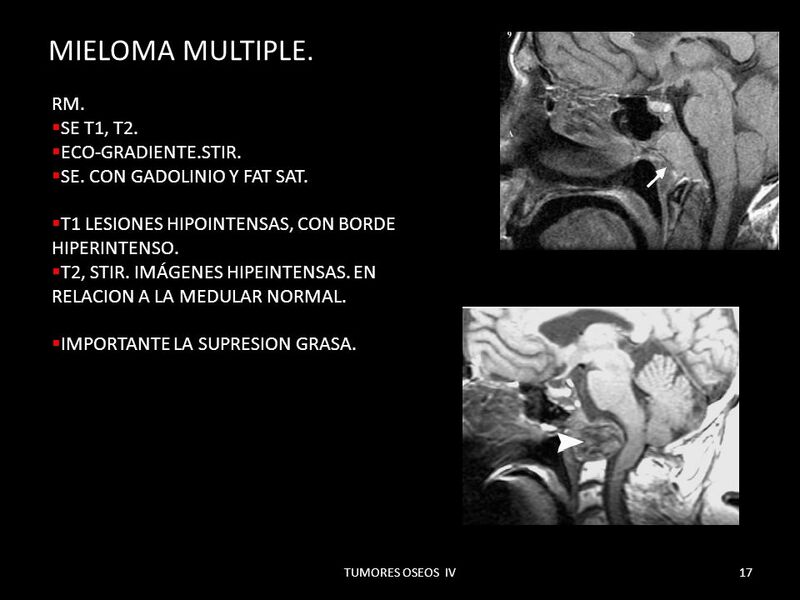 15 MIELOMA MULTIPLE. 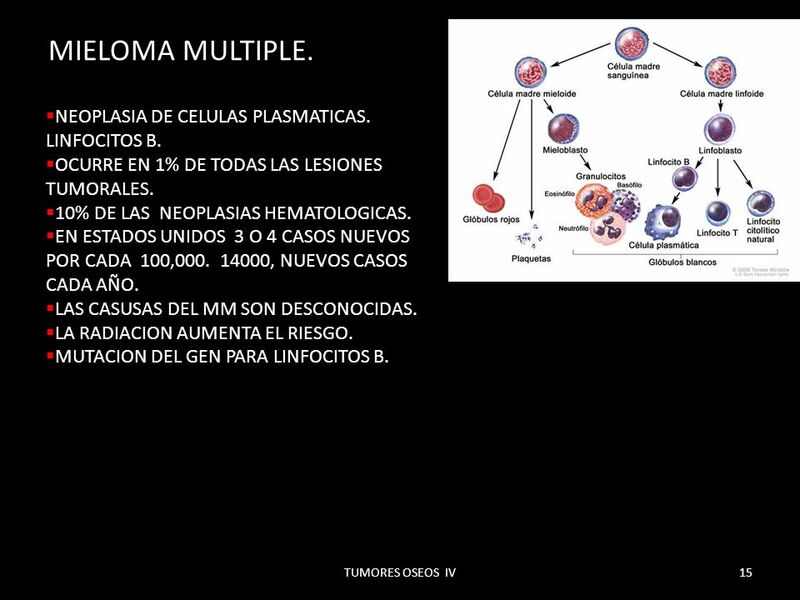 NEOPLASIA DE CELULAS PLASMATICAS. LINFOCITOS B. 16 MIELOMA MULTIPLE. 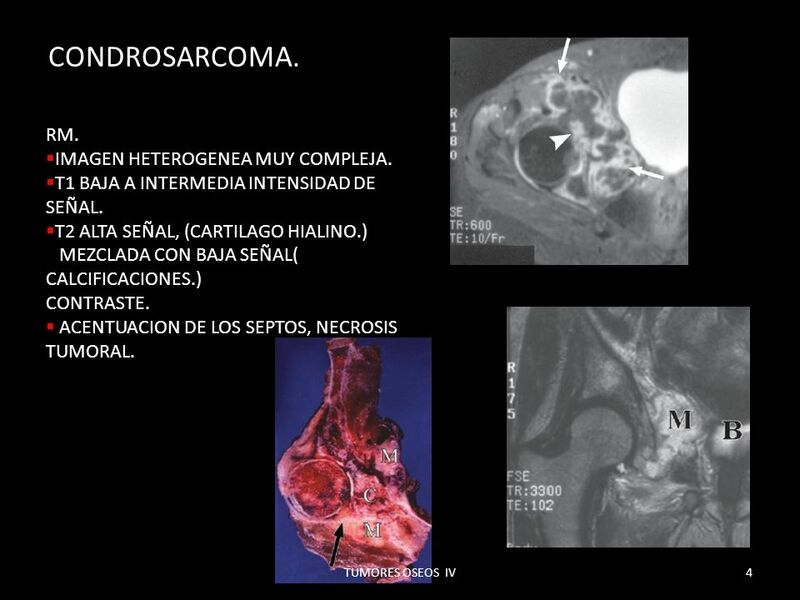 PRESENTACION CLINICA. 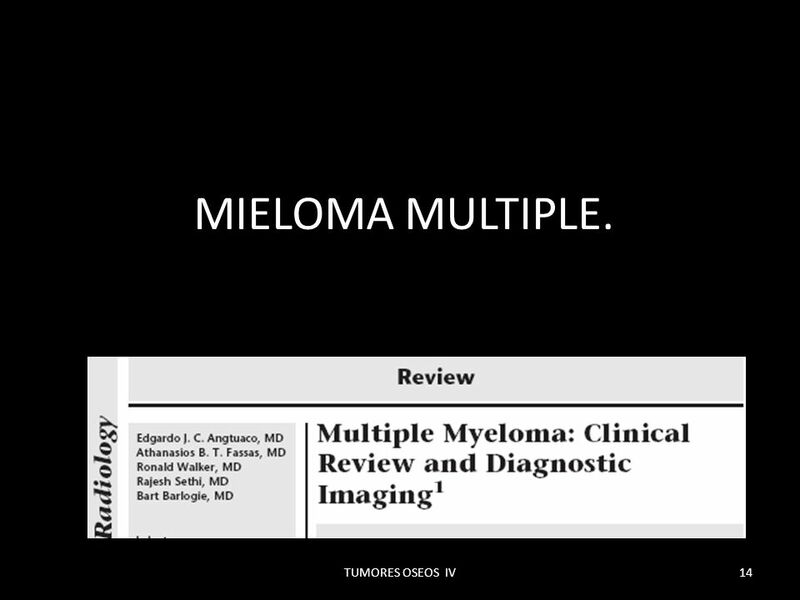 17 MIELOMA MULTIPLE. RM. SE T1, T2. ECO-GRADIENTE.STIR. 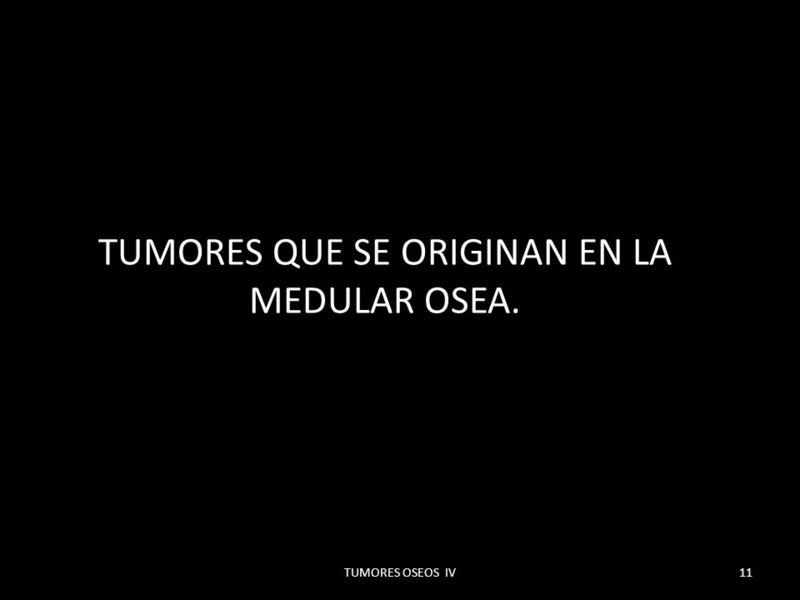 21 TUMORES VASCULARES. 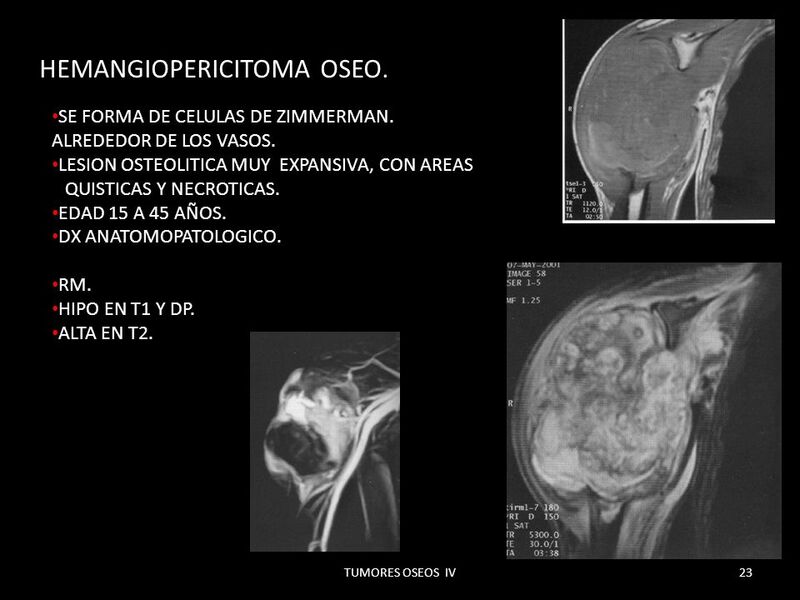 HEMANGIOMA OSEO. 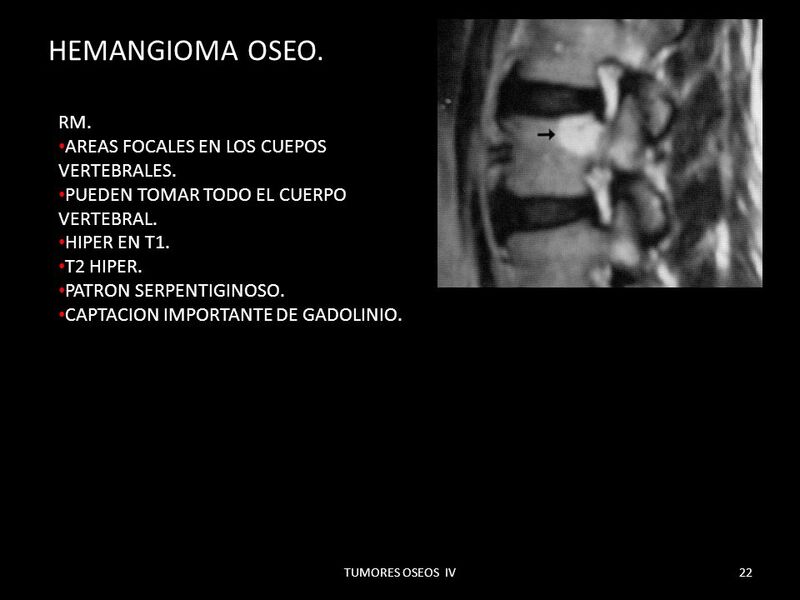 22 HEMANGIOMA OSEO. RM. 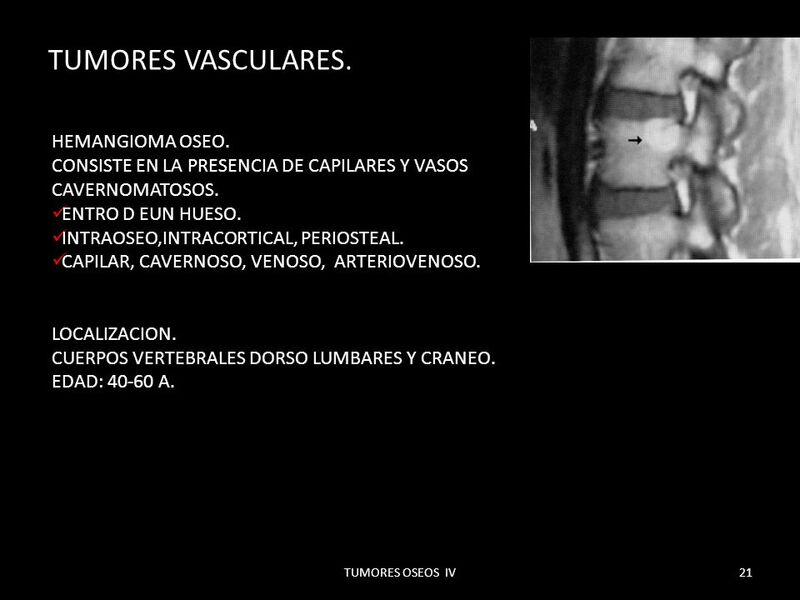 AREAS FOCALES EN LOS CUEPOS VERTEBRALES. 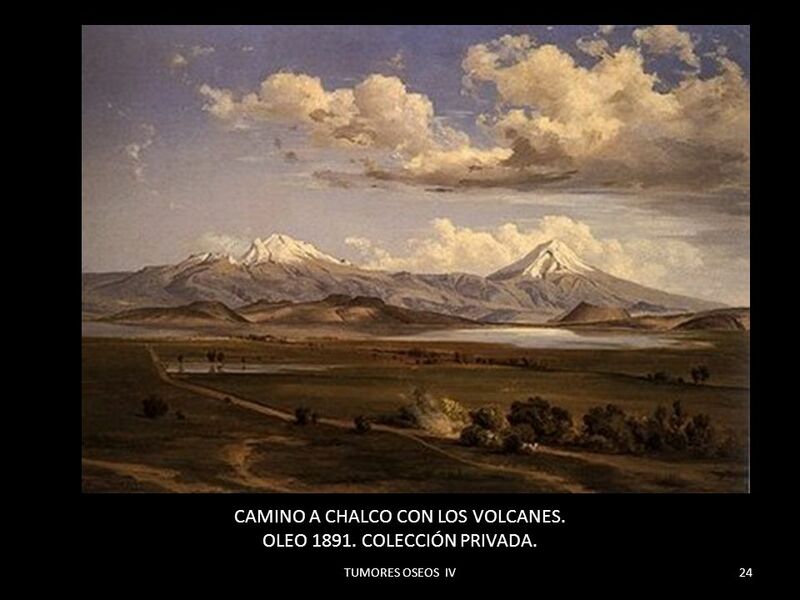 24 CAMINO A CHALCO CON LOS VOLCANES. OLEO 1891. COLECCIÓN PRIVADA. 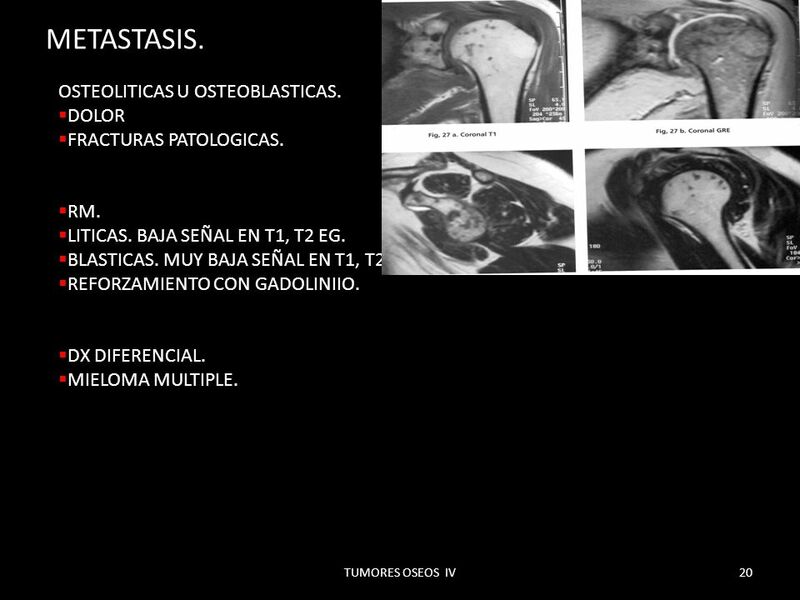 Descargar ppt "CONDROSARCOMA TUMORES OSEOS IV." 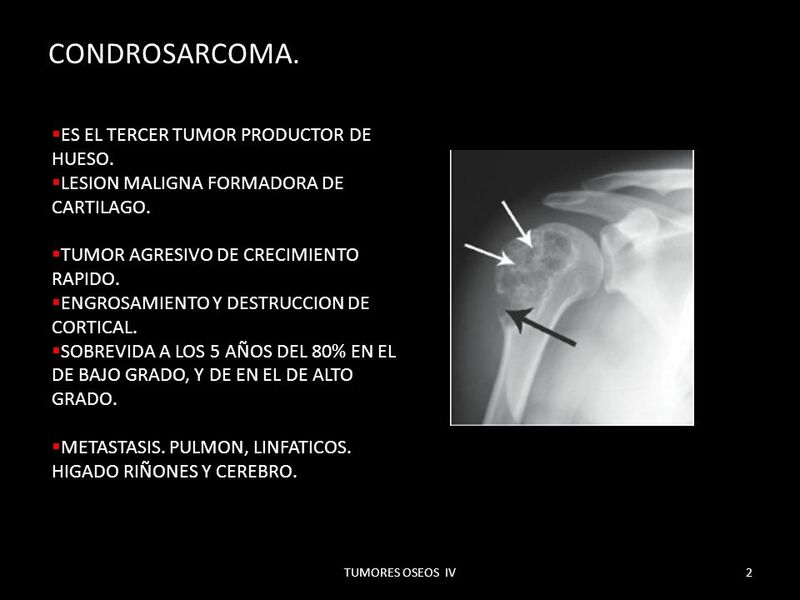 HUESO. TUMORES OSEOS PARTE I.